Stop Staring at Me! | Critical End! No Joke: This has to be one of the worst posters I’ve seen in a long time. I guess Summit Entertainment realizes that nobody actually sees these movies for the plot anyway (there was a book for that), so let’s just have our stars hang out in a dense fog and stare the public into submission. Oh, and “It all begins…”?! Isn’t this the third film? They really should start warning me about these things so I don’t have to sit through the first two. Also, I guess Stewart wasn’t available to pose that day, as it looks like they cropped two completely different images of her face together. Check out those eyebrows! This entry was posted on Thursday, March 25th, 2010 at 9:07 amand is filed under . You can follow any responses to this entry through the RSS 2.0 feed. Both comments and pings are currently closed. 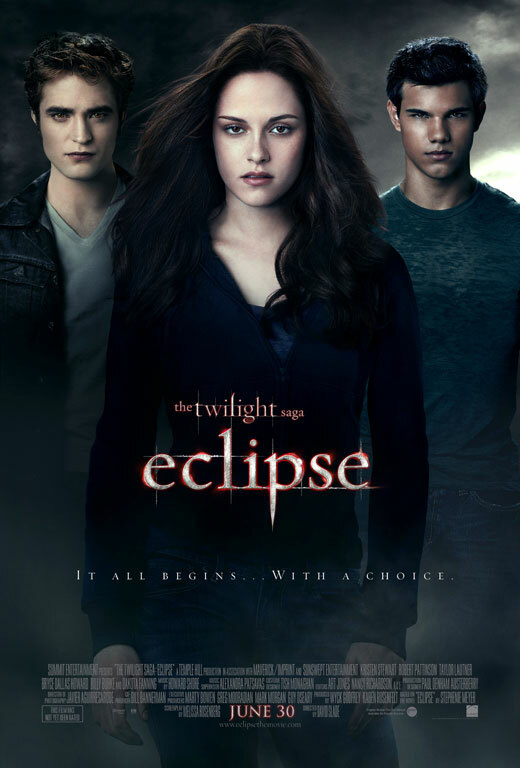 Seriously, all these posters look the same, especially New Moon and Eclipse. They seriously have a thing with eye-contact. Is anyone else frightened by how much she looks like a 12 year old boy? ?